Hundreds of thousands of years ago, before the species homo sapiens even walked the earth, there were two space faring civilizations. The evil Drengin Empire and the Arcean Empire sent out probes across the galaxy. Between the two of them, they invented a city-sized device called a star gate. 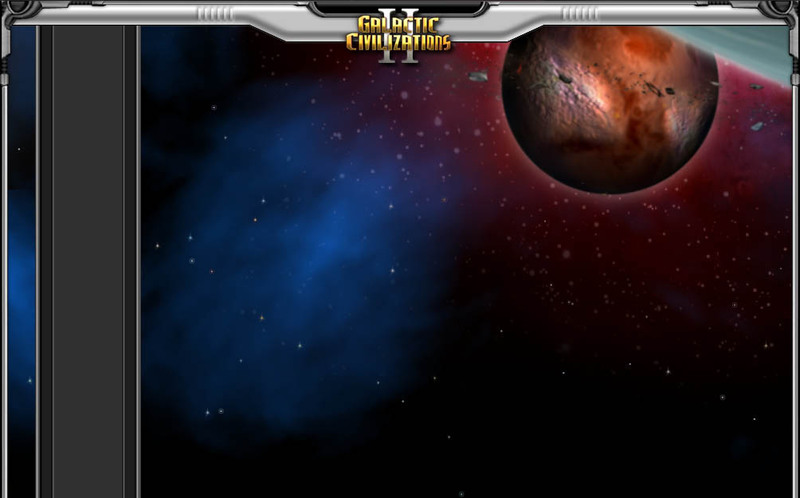 The star gates allowed a star ship to travel great distances between the two star gates. The Drengin and Arceans each constructed one of these massive devices and were able, for a time, trade with one another. The Drengin squandered their opportunity by attempting to invade Arcea through the star gate. The Arceans, who are not that unlike the Drengin in cunning, were well prepared for the Drengin attempt and allowed the initial invasion fleet through the star gate and then deactivated it -- trapping the Drengin fleet thousands of light years away from their home world. The Arceans crushed the Drengin invasion fleet and never again opened their star gate to the Drengin. Meanwhile, Drengin probes had come into contact with a reasonably advanced alien civilization that called themselves the Toria. The Drengin, having learned from their experience with the Arceans, were not about to help the Toria construct a stargate. Instead, the Drengin built a stargate and then sent it out unmanned to Toria. The process took over 70,000 years for the star gate to get there. The Drengin, while cruel beyond human imagination, are, if nothing else, a patient species. Once the star gate had arrived, a Drengin invasion fleet quickly conquered Toria and enslaved its inhabitants. It was during this time that the Drengin and Arceans first encountered the Yor. The Yor were a synthetic race that had been created by what was thought to be an extinct race called the Iconians. The Yor, not being biologically alive, simply explored the galaxy in huge ships flown by a single Yor. In an ironic twist, while the Yor do not age, they were designed to make use of biological-based energy sources -- food -- to replenish their energy reserves. Over time, they too learned the secret of the star gates. The problem with star gates was largely economical. The amount of power they required to operate was so enormous that it made anything but the most valuable of trade largely impractical. It was this factor that led to the liberation of Toria. For the Toria learned, at length, of how costly it was to bring in support to Toria. The Torians leveraged this advantage to wage a guerilla campaign that eventually forced the Drengin to abandon the planet. The Drengin had long exhausted any inate value in controlling Toria and the cost of maintaining control was too high. The Drengin are not driven by pride or honor, only cruel calculation and meticulous planning. In the year 2117 an Arcean probe arrived at Earth. The humans had become a relatively united planet that was prosperous and had a wealth of energy thanks to the development of fusion power. The Arceans saw the value in fusion power for none of the other races had developed such an advanced form of energy despite their advancement in other areas. As a result, the Arceans quickly transferred the plans of a star gate to the humans. The Arcean star gate plan didn't include a way to turn off the star gate. In essence, once turned on, the humans would not be able to turn it off. Whether the Arceans were planning to conquer Earth or not remains unknown. However, the star gate was never built. The star gate plans confirmed countless theories on space travel. It also become quite clear the leading scientists that the star gate was limited in use because of its size and cost. But they also concluded that the problem with the star gate was purely because it was designed around a lack of power -- a problem the humans did not have. The humans were shocked to learn that hyper drive did not create a galactic utopia but rather a galactic race. All of the races quickly ended communication with one another (having eliminated their star gates) and began building colony ships as fast as they could to go out into the galaxy and claim worlds. Unfortunately for the humans, the aliens had long since mapped out the galaxy -- they knew where they best planets were. The humans would have to blindly go out and explore and colonize at the same time. In 2178, the humans sent out their first colony ship. When the humans came into contact with the Altarians, it was quite a shock. The Altarians and the humans look nearly identical and even DNA tests showed that they were the same species. The Altarians were a very spiritual people and their high priest read a prophecy that had been made over 100,000 years ago that one day the Altarians would meet their cousins and that amongst them they would come to learn how the beginning of the Altarians had come to be. It also hinted that the Altarians were the result of the interference of a powerful being called a Mithrilar -- but that the humans were not (i.e. the humans arrived naturally). This Mithrilar had apparently created another race in his own image as well that was thought to be extinct known as the Arnor. Most human analysists doubt the entire Drath scenario. The entire scenario sounded too much from a "science fiction" story. The Drath, not unlike other civilizations, simply were looking for ways to justify their aggressive behavior. By 2200, the entire affair had passed into history. The growing military strength of the young humans did not escape the notice of the Drengin Empire. The Drengin Empire had made good use of hyper drive and had carved an immense interstellar empire. They also had occasionally come across evidence of a civilization labeled blandly as the Precursors. The Precursors had apparently once inhabited -- possibly terraformed -- most of the inhabitable worlds in the galaxy. But they had long since disappeared from the galaxy. By 2220, the Drengin had concluded that the humans were the real threat. The humans were coalition builders they concluded. The Drengin knew that they did not possess the native ability to cooperate with a group of sub-Drengin species. The time to strike was coming but first they would need to be able to defeat the Arcean Empire as well. The Arceans, being an ancient warrior race, had to be contended with. The humans had befriended the Arceans and as a result were unlikely to stand by and allow the Drengin Empire to crush and exterminate the humans and their Altarian allies. But what none of them knows is that there is something else out there lurking that is far worse than any of them..